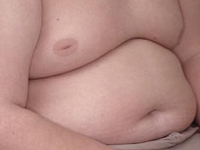 A new study gives the strongest evidence yet that obesity surgery can cure diabetes. Patients who had surgery to reduce the size of their stomachs were five times more likely to see their diabetes disappear over the next two years than were patients who had standard diabetes care, according to Australian researchers. Most of the surgery patients were able to stop taking diabetes drugs and achieve normal blood tests. "It's the best therapy for diabetes that we have today, and it's very low risk," said the study's lead author, Dr. John Dixon of Monash University Medical School in Melbourne, Australia. The patients had stomach band surgery, a procedure more common in Australia than in the United States, where gastric bypass surgery, or stomach stapling, predominates. 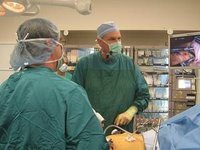 Gastric bypass is even more effective against diabetes, achieving remission in a matter of days or a month, said Dr. David Cummings, who wrote an accompanying editorial in the journal but was not involved in the study. "We have traditionally considered diabetes to be a chronic, progressive disease," said Cummings of the University of Washington in Seattle. "But these operations really do represent a realistic hope for curing most patients." Although most people can lose weight the old-fashioned way through disciplined eating and regular exercise, bariatric (the treatment of obesity) surgery is an option for very overweight people who have tried everything else. "You don't just jump into this," says Dr. Frederick Buckley Jr., F.A.C.S., who practices general, vascular and bariatric surgery in Salem. "We're the last stop, and this solution is intended to be forever." Weight-loss surgery is not for the slightly overweight, nor is it a quick fix for people who haven't tried other methods first. To be eligible, patients must be at least 100 pounds overweight, undergo psychological and cardiac screening and commit to a new eating pattern for the rest of their lives. Insurance companies may also require them to undergo six months of physician-monitored weight loss (usually by a primary-care provider) during the year prior to surgery or their own six-month phone-monitored system, which Buckley believes is less effective than proceeding directly to what he considers "life-saving" surgery. TRICARE beneficiaries whose weight poses a serious health risk now have a new surgical alternative available. For those who medically qualify, TRICARE now covers laparoscopic adjustable gastric banding, also commonly called Lap-Band surgery. Although the TRICARE policy change has only recently been made, coverage is retroactive to February 1, 2007. "We at TRICARE are careful to only cover procedures that have been proven safe and effective, and are accepted by the medical community," said Maj. Gen. Elder Granger, deputy director of the TRICARE Management Activity. "We've added this procedure because, for some beneficiaries, it may be the right course of action to preserve their health." Granger adds that, like gastric bypass, gastric stapling or gastroplasty, Lap-Band surgery is only for those suffering morbid obesity. In medical terms, that means their body weight is 100 pounds over ideal weight for their height and bone structure, and their weight is associated with severe medical conditions known to have higher mortality rates. Body weight that is more than twice the ideal weight for the person's height and bone structure may also indicate morbid obesity. In addition, TRICARE will cover the surgery if a patient has had an intestinal bypass or other surgery for obesity and, because of complications, requires a second surgery. More than half of adult Kansans are overweight and almost a quarter are obese, which caused an estimated $657 million annually in medical expenses between 1998 and 2000. On Thursday, a Senate committee heard from a Wichita man and a Topeka doctor who said the morbidly obese could be helped, and lives could be saved, if insurance companies paid for weight-loss surgery. Sen. Jim Barnett, R-Emporia, a physician, said he called the meeting of the Senate Health and Welfare Committee to "nudge" the conversation forward. But he said he doesn't favor legislation requiring such coverage. And one Kansas insurance spokesman warned that covering such surgery could drive up costs for everyone. A Nov. 19 jury verdict finding the Hospital of the University of Pennsylvania guilty of medical malpractice and responsible for damages totaling $1.74 million will come under question on Feb. 5. Following the death of her husband in 2003, Donna Traina, represented by attorney Timothy Lawn, filed a lawsuit against HUP, Mercy Suburban Hospital in Norristown and several doctors and medical personnel from both hospitals. The jury awarded her $2.9 million for wrongful death, pain and suffering, and lost wages. HUP was found 60-percent negligent and liable for $1.74 million of the damages. The cases against the medical personnel were dropped before trial and all the doctors were found not negligent. Both hospitals have since filed motions for post-trial relief, similar to an appeal, in order to argue to overturn the verdict. A hearing has been set for Feb. 5. At the hearing, HUP attorney James Young will present an oral argument before the Philadelphia Court of Common Pleas. "The treatment Traina received was entirely appropriate. 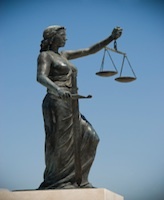 There are sound legal reasons to undo the mistake made by the jury," Young said. Dr. Shawn Garber, chief of bariatric surgery at Mercy Medical Center in Rockville Centre, and a hospital team have been training surgeons from across the country in a noninvasive procedure that reduces stomach size in patients who have had previous weight-loss surgery. Mercy is one of just three hospitals nationwide -- the others are in Ohio and Florida -- selected by EndoGastric Solutions of Redmond, Wash., to train surgeons how to use its StomaphyX device to perform stomach surgery without making an incision. In addition to Garber, Dr. Spencer Holover also performs the StomaphyX procedure. 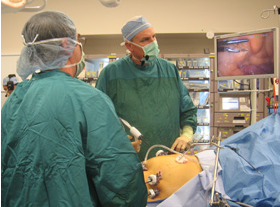 ORLive.com will broadcast two (2) bariatric procedures: a laparoscopic gastric bypass performed at Flagler Hospital, in St. Augustine, Florida and a laparoscopic sleeve gastrectomy performed at Holy Cross Hospital, Ft. Lauderdale, Florida. Both procedures were recorded live-to-tape and are presented unedited during this combined broadcast. Monica Ramos lost about 200 pounds the hard way. In 2004, a doctor stapled her stomach and rerouted her intestines. She underwent gastric bypass surgery. A year later, Ramos collapsed in her home and was rushed to the hospital, where she needed another operation to stop internal bleeding. Sheila McNair's journey began in 2003: the moment she looked at a family reunion photograph of her and her grandson. "When I looked at that picture, I told myself 'I can't go on like this,' " said McNair, who had battled obesity since she was 12. "I had to do something. 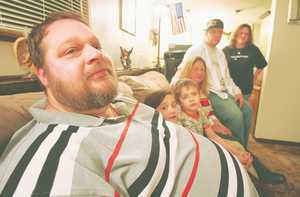 Obesity runs in both sides of my family and my mom died in 2001 due to diabetes. I didn't want to go that route. I was overweight to the point where basically all I could do was go to work and come home." So McNair underwent gastric bypass surgery on May 3 of 2004. She weighed 444 pounds that day. Three years and 265 pounds later, she completed her first marathon. 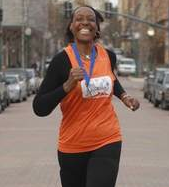 It came just a year after she began in Marathon Makeovers, a support group that prepares runners for the 26.2-mile race. McNair finished the race. Her official time was 7 hours, 24 minutes and 43 seconds. Monica Ramos lost about 200 pounds the hard way. In 2004, a doctor stapled her stomach and rerouted her intestines. A year later, Ramos collapsed in her home and was rushed to the hospital, where she needed another operation to stop internal bleeding. Her weight-loss surgery represents the gamble that legions of morbidly obese Americans are taking every year. For many, it is worth the risk. When Ramos had her initial operation, she was on 17 medications for diabetes and other ailments. Today, she needs no prescriptions. Her diabetes is gone; she feels great. But the soft-spoken nursing student warns that surgery is not a cure for obesity. "This is a lifelong commitment, and there are going to be days when you're sorry you've made this commitment," said Ramos, 26, who runs a support group in Orlando for weight-loss-surgery patients. If current trends continue, she will be busy. In the last few years, more than two hundred severely overweight Montanans have undergone gastric bypass surgery at St. Vincent Healthcare in Billings. The surgery changes lives but it's not as easy as it looks. Julie Lovell introduces us to two sisters from Miles City; who found it takes perseverance, family support and a sense of humor to succeed after gastric bypass surgery. Hospitals in Michigan help patients understand gastric bypass surgery and its aftermath. The latest developments in weight-loss surgery for the morbidly obese have come not in the operating room but in the classroom. Hospitals that do bariatric surgery, including gastric bypass and gastric banding, have in recent years created programs that emphasize pre-surgery education and counseling for potential patients. The classes and psychological services can help patients can more fully understand the surgery, evaluate whether it is appropriate for them and comprehend the changes in eating habits and exercise they will have to make if they do undergo it. Both the Bariatrics at Borgess program at Borgess Medical Center and the Medical and Surgical Weight Loss Program at Bronson Methodist Hospital provide patients with these broad-ranging services. Carnie Wilson on what should come first, Gastric bypass surgery or pregnancy.